This recipe is unbelievably good, full of flavor and remarkably like feta. It crumbles like feta but is also creamy enough in the centre to spread onto crusty bread, crackers, toasted bagels - whatever you like. Also, the original recipe drizzled a thyme and rosemary infused oil over top, you can also try dill. 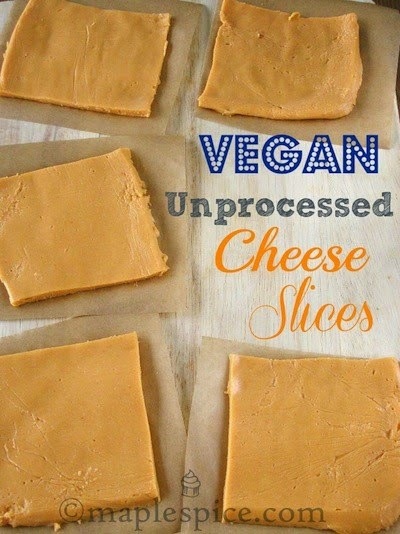 Yes, there are vegan "processed cheese" style slices out there but lets face it. They're gross. Try preparing this childhood favorite that’s perfect for sandwiches. Get the recipe here. 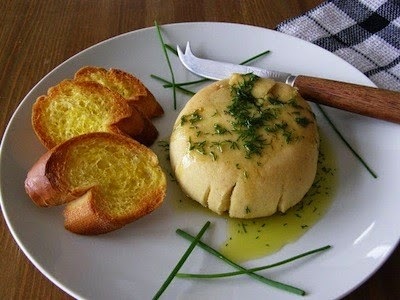 This mild uncheese complements almost every food. Serve it in slices with crisp fruit such as pears or apples, add diced cubes of your favorite steamed vegetables, or create cold sandwiches or toasty grilled cheese. 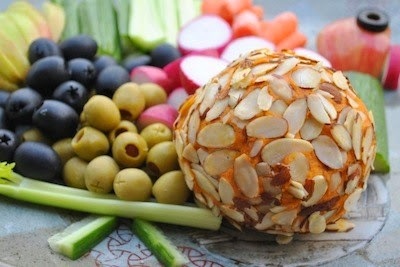 You can serve this cheese ball with any of your favorite raw vegetables, or even put sliced honey crisp apples on the tray, the combination of the sweet crisp apples and the piquant cheese will be amazing. 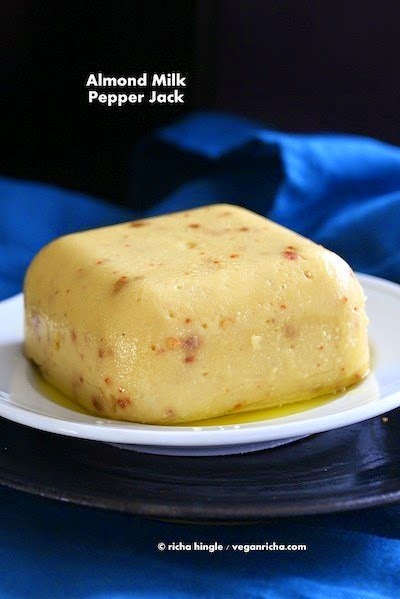 Perfect for a potluck or any party, find this yummy recipe here. 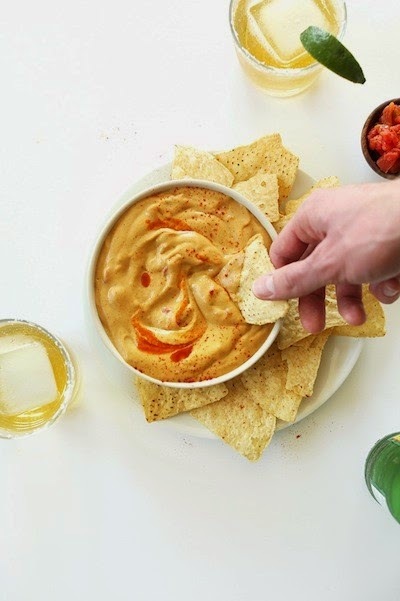 This recipe uses eggplant to make a delicious queso, add in a few Tbsp of slightly drained Rotel (just like real queso dip!) or your favorite chunky salsa. This really sends the texture and flavor over the top to mock the real thing. 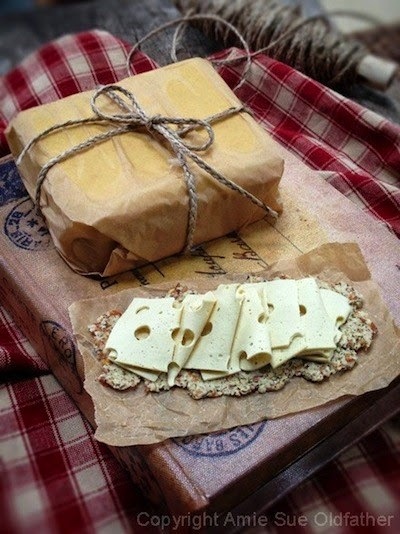 This cheese is a green goddess dressing made into cheese with some of elements of the gouda. Add more agar for a more set cheese that you can grate it. It makes an amazing grilled cheese! Omit the agar and use it to top a salad. Agar is used and it requires boiling water to dissolve and to activate its magic. 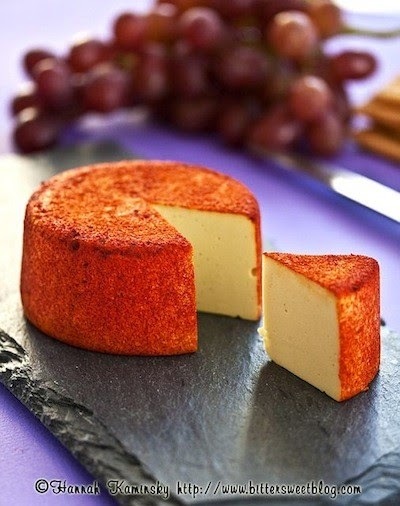 Magic meaning, agar is the key ingredient that gives that cheese texture to this recipe. The fun part is that you can use any mold to shape it in. This recipe is guaranteed to please and makes a great gift! 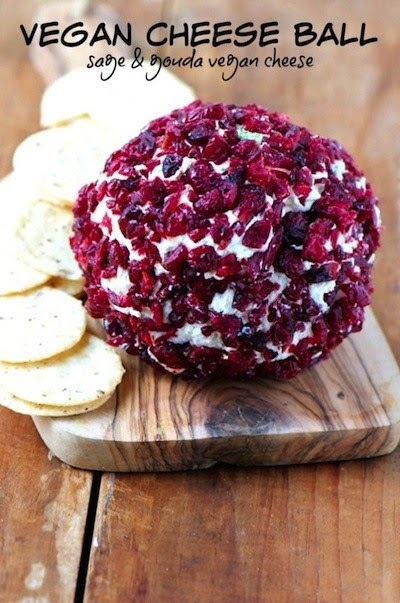 This vegan cheese ball is so flavorful with its crispy sage, salty pistachios, and the sweet chopped craisins encrusting the outside. It really makes for a delicious appetizer. Get the recipe. 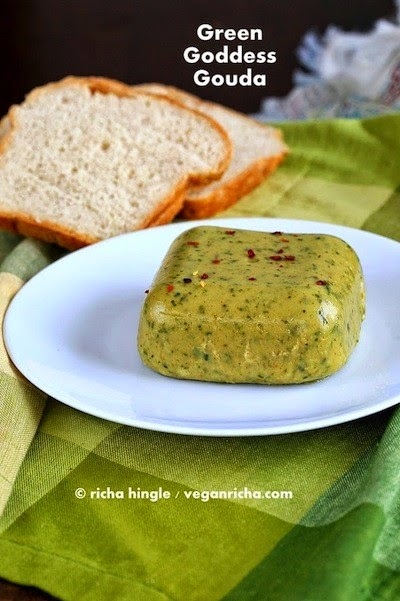 This vegan cheese has almond milk, starches and agar to thicken and stretch, chickpea flour for taste and texture and voila! You can also make this with coconut milk or cashew milk. 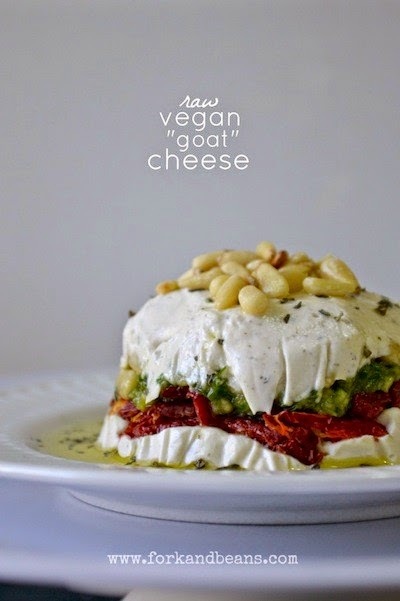 The cheese with cashew milk will be whiter on melting. The cheese shreds with a large grater! Use it on a pizza or grilled sammie. A non-dairy version of the original, but without the soy. This is the beauty of raw foods–anything can happen with a scoop of cashews. Even cheese. Get the recipe here. 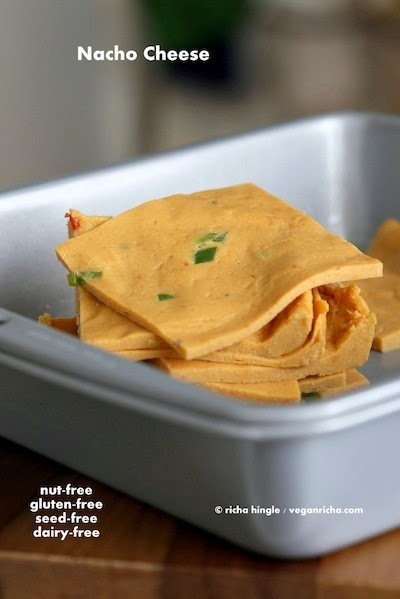 These Nut Free Vegan Nacho Cheese Slices, have no nuts, no oil, no agar, no thickener, no seed, no gluten, no grain. Grilled cheese, anyone?